Caffeine addicts and coffee junkies, here’s another way to have coffee on the go! 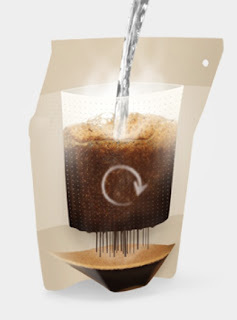 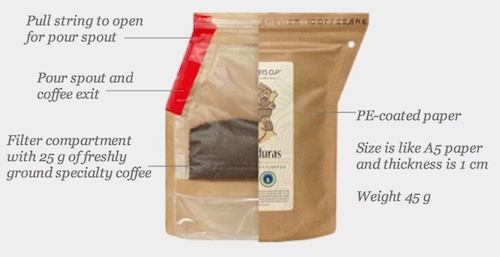 French press style coffee from Grower’s Cup that lets you brew right from the packaging. 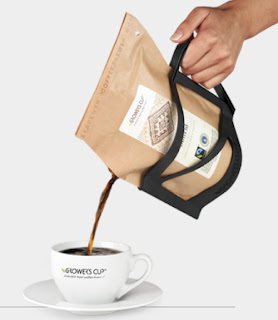 This clever packaging allows you to pour hot water directly into the bag of coffee grinds and using built in filter technology, you can pour a fresh cup o’ Joe right into your cup.